Why do we visit restaurant Villa Rustica so often? ... Err...I actually mean all the time! 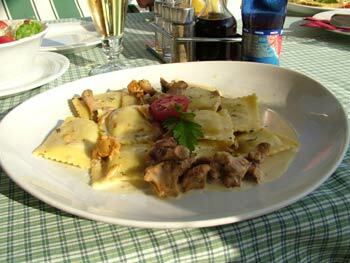 It is a cute and charming little restaurant with a comprehensive menu of wonderful Italian and Slovenian dishes in a tranquility of surrounding meadows right underneath the majestic Pohorje mountain. 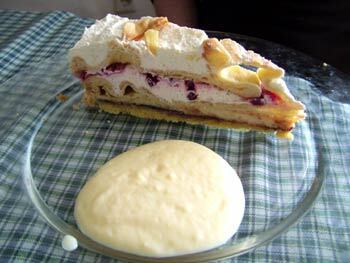 Is Villa Rustica close to the city center like so many other things in Maribor? Well, the restaurant is a 5 minute taxi ride or a 40 minute walk away from the city center and this is quite close by my standards. After all Maribor is not a big city. Villa Rustica is an Italian style restaurant but with a touch of Slovenian cuisine so steaks and stews are equally delicious as numerous pasta dishes. I'm never afraid to try something new in this restaurant because quality never fails. Prices are very reasonable even by Slovenian restaurant standards. An average three course lunch/dinner for two including drinks and coffee can be expected for about $50 or €34 and large pizzas normally cost from $7 or €4.6 each. by ancient remains of a Roman villa. 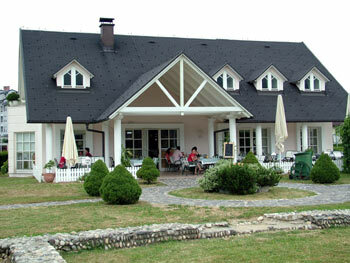 The restaurant is set in a beautiful environment on the edge of vast meadows in between Maribor and Pohorje. 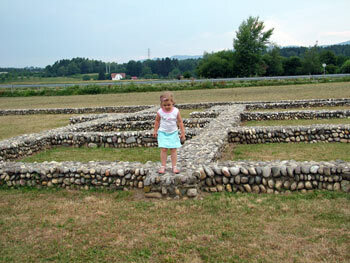 It is popular among families as kids have plenty of space to run among the ruins of a Roman villa. Villa Rustica... I wonder why? Simple yet tasteful presentation, fresh ingredients and professional service make Villa Rustica a wonderfully popular restaurant among visitors and Mariborians. Whatever time of the year we go there bookings are required during weekend lunchtime between 12pm and 3pm but sometimes even during the week. locally sourced golden chantarelle mushrooms. We eat in this restaurant at least once every single vacations for more than a decade now and it never failed to deliver. 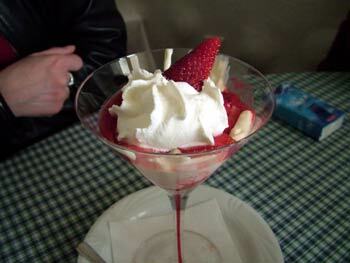 Villa Rustica is simply one of my top restaurants: delicious food, great prices and close to many Maribor attractions. 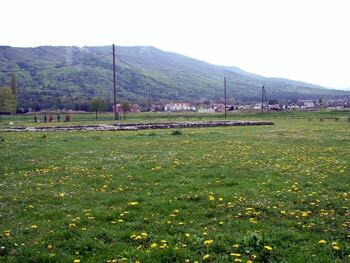 The view of Pohorje and its skiing slopes also plays an important role. Having a really nice dinner so close to Maribor city center and Pohorje at the same time, and with so much space for kids to play, is what makes restaurant Villa Rustica so special. 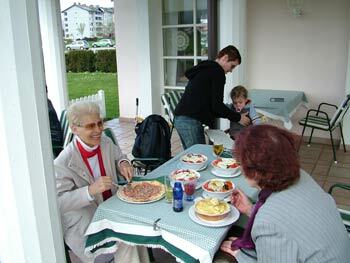 During our Easter holidays in Maribor we found a convenient excuse to return back to restaurant Villa Rustica. Milan's niece Sara was celebrating her 10th birthday and the whole family gathered for a birthday lunch. Hmm, I actually think this was her mum's decision! Namely, she already celebrated in one of Maribor's bowling clubs earlier that day. I've got to say the decision was very well accepted. Adults love restaurants and to be honest, we'll find every excuse to visit our favorite eateries time and time again. play on ancient remains of a Roman villa. 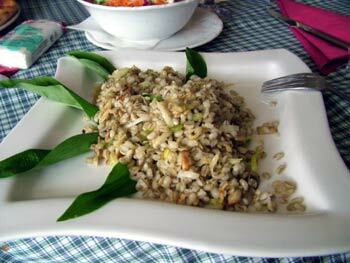 with a variety of vegetables and herbs. As usual, salads are huge and deliciously refreshing. Yep, this was yet another wonderful afternoon in this popular restaurant. I'm so happy to say that the quality of food hasn't changed at all. Everything we ordered was made of fresh ingredients. Every course was tastefully presented and the service was seamless. Prices are still very pleasant. 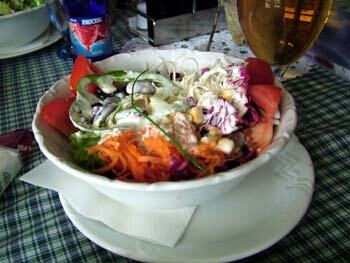 All in all, Villa Rustica has stayed one of our top eateries in Maribor, period. So, I'm really looking forward to visit the restaurant again in the summer of 2008.